I love reading most genres from sci-fi and fantasy to chick lit and non-fiction. However, there is one genre that I have to indulge in with caution. Reading horror, such as Stephen King or H.P. Lovecraft always makes me a nervous wreck but I can’t resist the spine tingling books. At the moment, I’m reading the Girl with all the Gifts. Even though I would describe this as being more of a love story than a horror story, it does have frighteningly fast running zombies in it, which fascinate and terrify me. The plot itself has been a slow starter for me, building up a picture of the post-apocalyptic world, where I have been impatient to learn more about the why and how of the zombie outbreak. However, now that I’m half way through I have become absorbed into the little girls world and her struggle to control her zombie condition. Unfortunately, as much as I’m enjoying the book, I have been having zombie related nightmares after reading several chapters before bed. So I have decided that this particular book will be a daytime read and I will keep the night time reading spot for something with fewer monsters. I’m stuck in a book rut. I have been picking books up and putting them down for the past few weeks without becoming hooked. I don’t know whether I’m in a particularly indecisive mood or whether I just haven’t found the right book. I can usually read most genres, but recently I have picked up a YA historical fiction, a fantasy book and an autobiography and I haven’t even managed to read half way through any of them. Irrationally, I’m worried I have lost my lust for books but I know it’s because I haven’t yet found The One. I’m tired of reading half-heartedly and falling asleep after a few page turns. 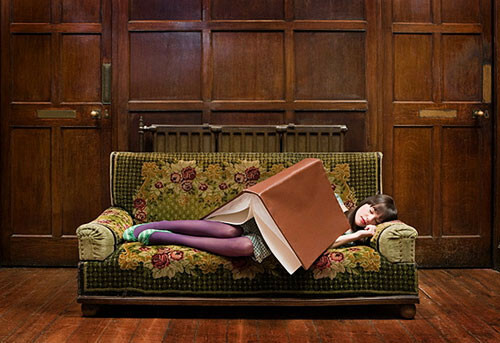 I want to find a book that keeps me up all night and that I can’t stop thinking about! I think I need to go on a book hunt and actively seek out the page turner that will reignite my passion for reading. 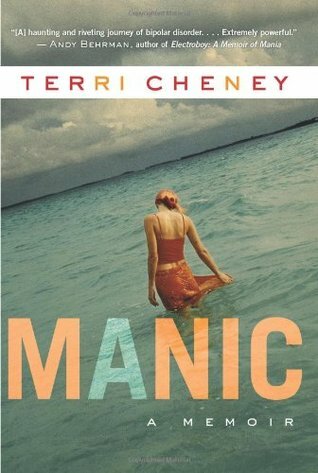 I’m reading a book by Terri Cheney called ‘Manic’ about her experience with bipolar disorder. It is beautifully written and absorbing, by far the best autobiography I have read in a long time. Once I have finished it I hope to write a detailed review. I do find that some autobiographies feel distant and weary of their own story, while sometimes I never really feel connected to the subject matter. However, when the voice of the author really connects with you it’s as though you have met your soul mate. Someone who understands an aspect of your life, or someone who you can empathise with or who you are curious about. The real stories that we have to tell can sometimes be far more exciting than any story thought up or imagined. I believe that everyone has a tale worth telling and there is always someone out there who is eager to read it. I have recently started reading before bed, instead of watching TV or scrolling through the internet on my tablet. I started the New Year with a string of disrupted night’s sleep with fleeting nightmares that woke me up every few hours. I knew that this was triggered by watching too many late night films and reading the news headlines before heading to bed. I decided to try and ‘switch off’ technology an hour or so before sleep and pick up a book instead. It is difficult sometimes to stop yourself checking emails ‘one last time’ or scrolling through social media for the billionth time, but I feel happier and healthier after a good night’s sleep and all it takes is a few chapters of a book!